Aren’t they lovely? And the best part is that they are super easy and dirt cheap. My three year old had a blast helping me make them! Pour a little modge podge (or Elmer’s glue) on a paper plate. Add a little water (a little extra water if you’re using Elmer’s) and stir. Don’t add too much; you just don’t want your pinecones to be gloppy. Roll your pinecone in the glue mixture. 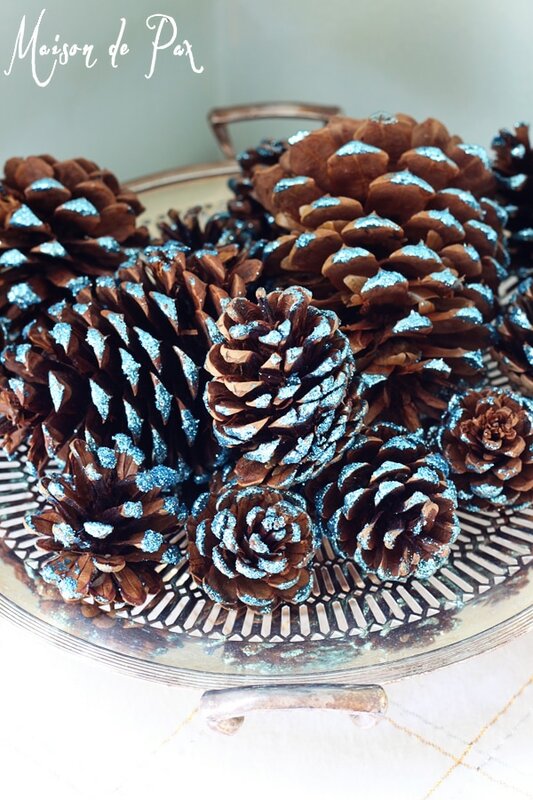 Pour glitter onto a second paper plate and roll your pinecone in the glitter. You’ll see that by rolling the pinecones, it restricted the glittered area to the ends of the leaves (what are those called?!?! does anyone know?). I love how it gives a subtle touch. I considered glueing on ornament hooks, but I really prefer the organic look of pinecones resting in the branches of the tree. These also make an excellent centerpiece or vignette element if you pile them in something pretty. Endless possibilities! What do you think? For the cost of some very cheap glitter, not a bad touch of blue for Christmas, is it? 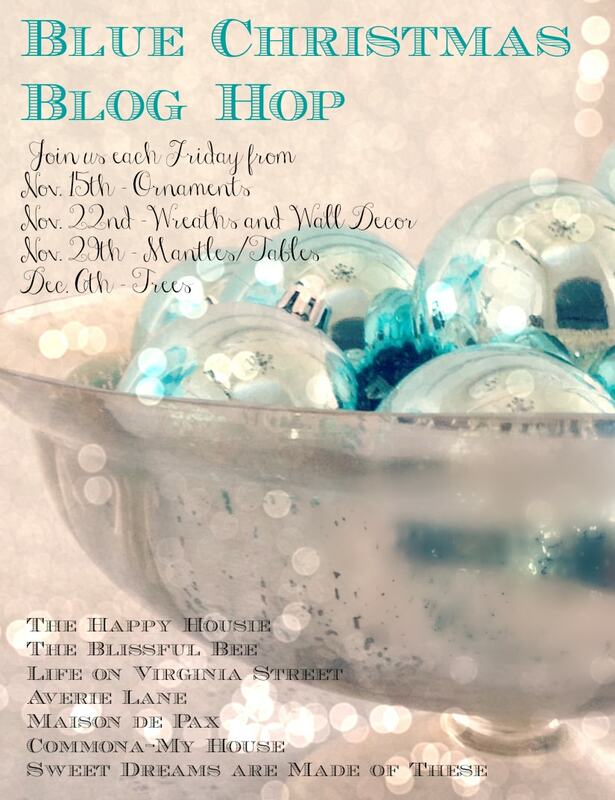 Be sure to visit the other creative and talented girls in this blue Christmas Blog Hop for some more ornament ideas! Pretty! When I was really young (maybe 10-12), I took a bunch of those gum drop balls from trees and covered them in glitter. 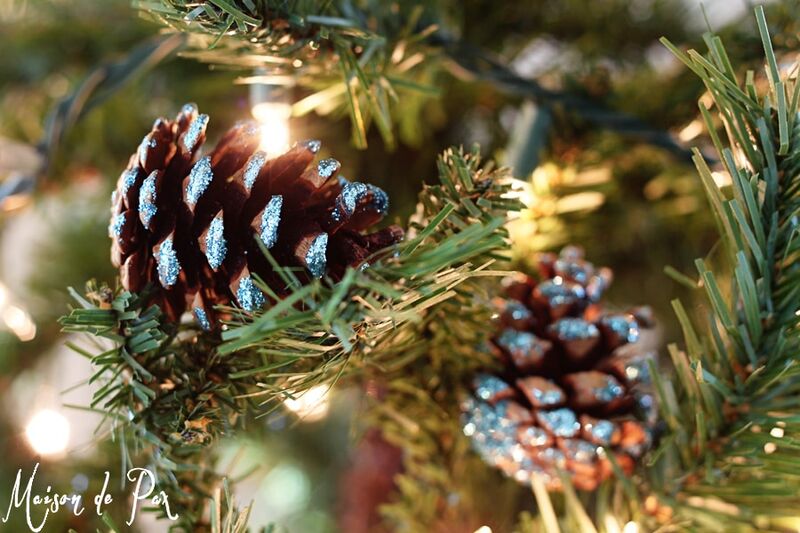 I keep thinking I need to do it with pine cones… Now I really need to do this! Love the blue! Thank you so much, Krista! Merry Christmas!!! Great idea. I love the sparkle you added. I’m a big fun of blue, too and have been working on my Christmas decorations with blue incorporated. Happy to see others enjoy something a bit different. These are lovely! 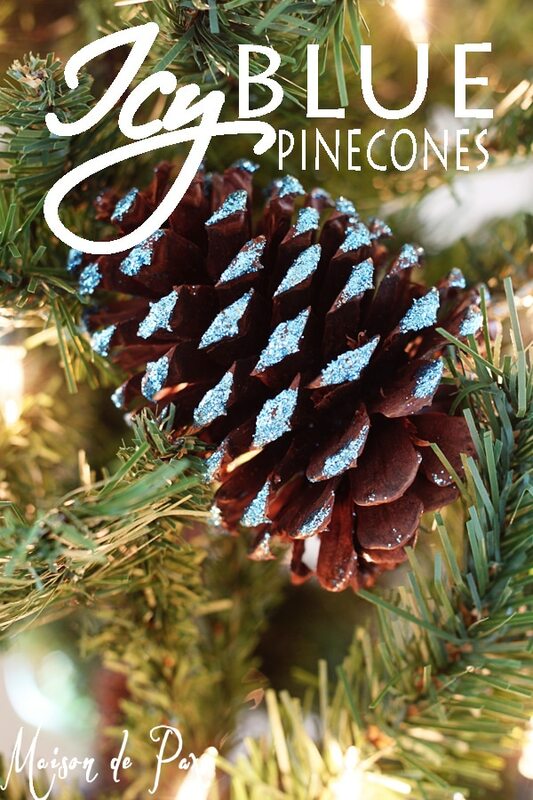 I’ve made glitter pine cones myself, but never thought to add colored glitter, they are perfect for Christmas! How pretty!! 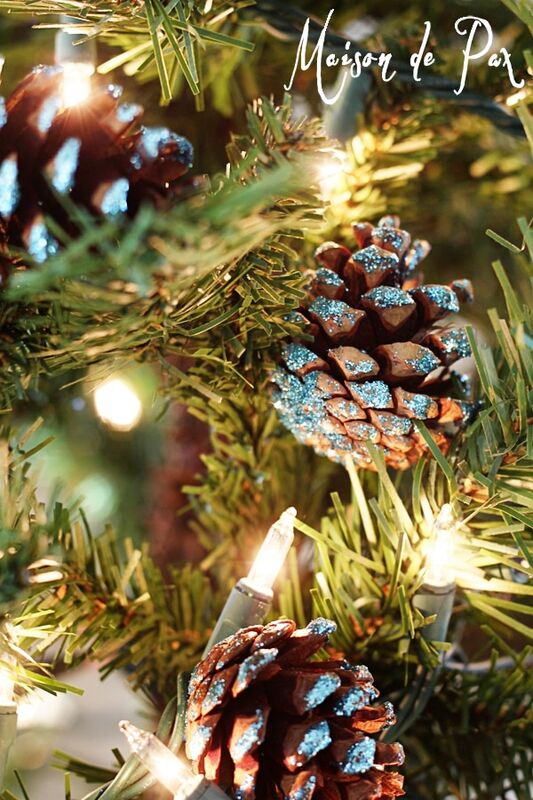 I’m a blue-lover as well, and I just adore the subtle hint of glitter on these pinecones! Beautiful! Very Pretty. I’ll have to mix a little blue in with my silver & gold. I’m so glad you like them, Theresa! Love these! 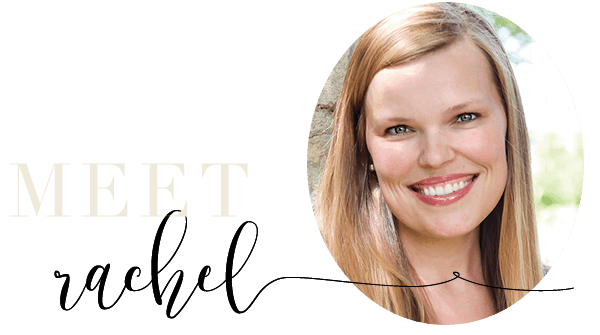 I love that the glitter isn’t too overpowering–it’s the perfect amount for a pretty accent! You need a “Pin It” button… I LOVE THESE SO MUCH! 😀 I collected a bunch of pinecones this fall from our trees and have been saving them for a good craft. Now I found it! That blue is just stunning. So the blue comes by way of blue colored glitter, not paint?